We will conclude our time in The Person of Jesus study by exploring faith and Jesus’ journey from death into life. 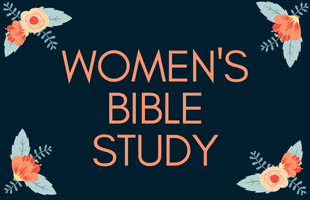 Studies will be held on Tuesday mornings at 9:15a and Wednesday evenings at 6:30p. The cost is $5 and collected at the first study. Register by emailing Melissa Wagoner. Childcare is provided for Tuesday morning. Questions? Contact Cara Roland.